Is this the last Black Friday? This could be a make-or-break holiday shopping season for some of America's retailers. Economic conditions are good -- unemployment is the lowest it's been in 17 years, and credit is cheap and easily available. And shoppers are expected to spend more than ever before. The question is where they'll do that. A survey by the National Retail Federation found that 59% of shoppers plan to shop online this year, marking the first time that online is the most popular choice for shoppers. For the first time ever, more people say they plan to shop online than in big box stores such as Walmart (WMT) and Target (TGT). 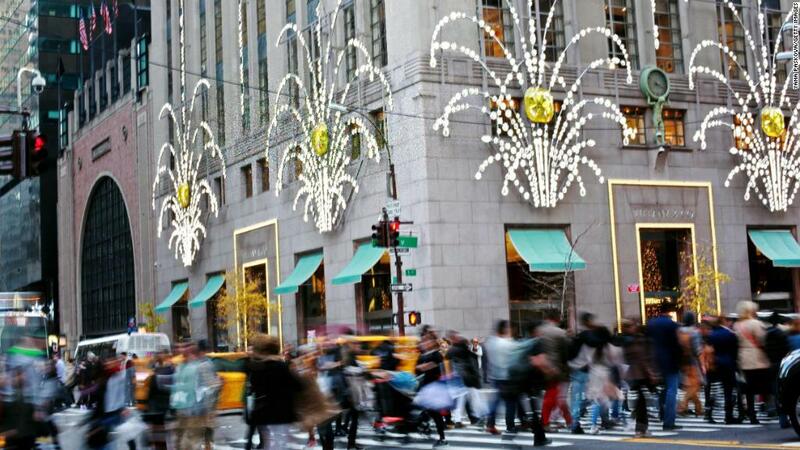 "The holiday season is always important, but this year is more important than ever," said Robert Schulz, the chief credit analyst for the retail sector for Standard & Poors. He expects strong spending this holiday season but cautions that won't necessarily translate into good news for brick-and-mortar retailers. "Department stores are struggling to prove they are still relevant," he said. A record number of store closures -- 6,735 -- have already been announced this year. That's more than triple the tally for 2016, according to Fung Global Retail and Technology, a retail think tank. And there have been 620 bankruptcies in the sector so far this year, according to BankruptcyData.com, up 31% from the same period last year. Prominent names such as Toys R Us, Gymboree, Payless Shoes and RadioShack have all filed this year, and Sears Holdings (SHLD), which owns both the iconic Sears and Kmart chains, has warned there is "substantial doubt" it can remain in business. Related: Black Friday is here! Even if all the troubled retail brands make it to the 2018 holiday season, there's a good chance many of their stores won't. Store closings will rise next year to about 9,000 as retailers shift their investment to online, says Michael Dart, a partner at A.T. Kearney and author of "Retail's Seismic Shift." "Even those retailers who have survived reasonably well are rationalizing their cost structure and closing stores," he said. "We're in a period where there is some breathing room for certain players that a more difficult economy will expose," said Leon Nicholas, analyst for Kantar Retail. "Any kind of economic downturn or even a tick up in interest rates, and their debt becomes unsustainable." "There's no question the retail industry is going through an amazing transformation," said Ellen Davis, senior vice president of research for the National Retail Federation. "But nine out of the top 10 web retailers have their own brick and mortar stores. You need both to satisfy today's customers." And even with all the store closures, there are new retailers waiting to move into much of the space that opens up, according to Tom McGee, CEO of the International Council of Shopping Centers. "Occupancy rates are over 90%. What that says is that it's being filled by new types of retailers," said McGee. "I think the malls will be very crowded this weekend." "With the speed of change now compressed, that makes this holiday shopping season absolutely the most important one we've seen," said Mike Kim, head of retail analytics at consultant AArete.